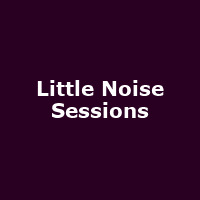 Last month we told you about the forthcoming Little Noise Sessions 2011, due to be held at its new location in Hackney, East London towards the end of this month. As a reminder, there will be shows from Elbow and Maverick Sabre (22nd - sold out), MARINA and the Diamonds (23rd - still up at £25), Goldfrapp (25th - sold out), Example and Ed Sheeran (26th - sold out) and Sinead O'Connor and King Creosote (27th - still up for £30). Joining that esteemed and essential line-up are two blokes you might be familiar with - they're from a band that you may have heard, seen and read about during the past decade. They headlined Glastonbury. You know, Coldplay. Yes people, Chris Martin and Jonny Buckland will be appearing at St John-at-Hackney church on 24th November as part of this important little soiree to raise funds for Mencap. Tickets for the show, which we reckon will feature a few stripped-back versions of Coldplay songs, including some newies from "Mylo Xyloto", will be on sale from Monday morning (7th Nov) at 9am. Now sit down - the ticket prices are £50. Now stand up and leap about because, as well as the two Coldplay boys, you will also have the privilege of seeing another pair of singers currently causing servers to keel over every time their tickets go on sale, Ben Howard and Emile Sande. And that's not all - the soul singer who supported Adele on tour, Michael Kiwanuka, and rising pop starlet, Bebe Black, will also be on the bill. £50 divided by 5 - that's £10 per act!! The organizers have also hinted that additional tickets for Elbow, Goldfrapp and Example may be released prior to the shows - we'll let you know if and when.